Rooter actually seems like a complete creep! 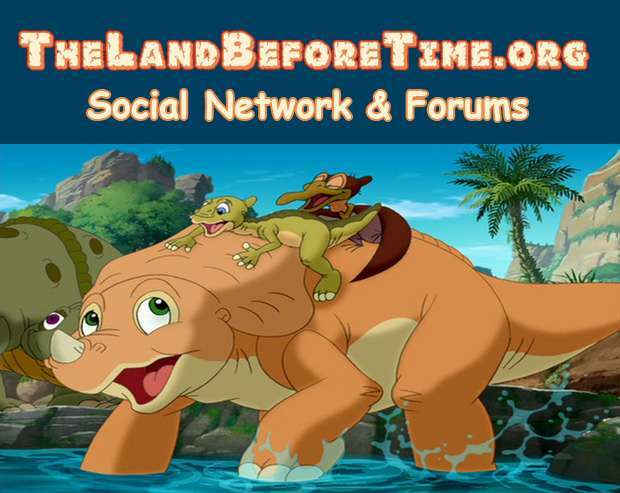 The Land Before Time Forum & Community Fansite › Forums › The Land Before Time › Character Discussion › Rooter actually seems like a complete creep! This topic contains 0 replies, has 1 voice, and was last updated by ChomperHugger 10 months, 2 weeks ago. 1.) 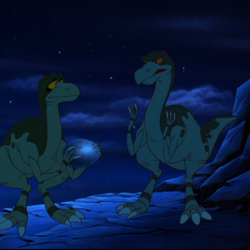 He actually told off Littlefoot for crying, asking what he could possibly cry about. Gee, I don’t know, wasn’t there a massive earthquake in the area that separated lots of families (and killed loads too!) that happened maybe the same day or perhaps a day or two earlier? Also, he’s just a five year old kid, why did you mock him until he finally mentioned his mother? 2.) Why did Rooter LEAVE him? 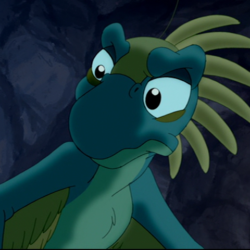 He appears to be an orphan out there all alone after a massive earthquake during a big leaf famine and he could easily get picked off by a Sharptooth and you just LEAVE him? Even if racism factors in (maybe it did, though even from the earlier transcript of the movie, there is nothing to indicate that Rooter is racist), that still seems pretty cold to me. 3.) 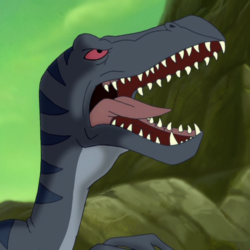 It wasn’t just that Littlefoot was possibly orphaned, there was a famine in the area, Sharpteeth loved to attack loners, and Littlefoot was clearly experiencing major trauma from the loss of his mother and being separated from his grandparents by the Great Earthshake. 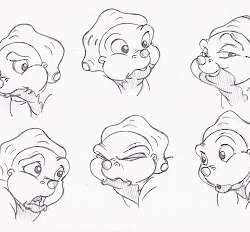 Rooter had to have known that he was possibly near a nervous breakdown when he started to blame his mother and himself for her death. 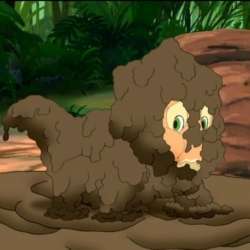 Littlefoot wasn’t even eating for a while and was running up to his own shadow, thinking it was his mother, and trying to lick it. Considering how rude Cera had been to him the last few times they met, it shows that he was pretty desperate to be with someone, anyone. Had Ducky and later Petrie not found him, he may have later decided to just lay down and die. Actually, had it not been for Cera, he most certainly WOULD have died, as Sharptooth would have caught him and the others asleep and killed them all. 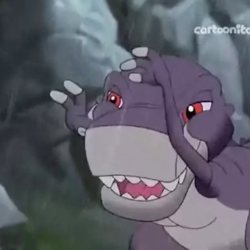 It was because Cera knew that Sharptooth was alive (Why didn’t Littlefoot ever ask her for proof? What if she was right, as odd as it sounded, or what if she’d found and just got away from ANOTHER dangerous Sharptooth nearby? There could well have been more than one T-re in the area, especially after the mess of the Great Earthshake, a lot of fallen bodies in that canyon would EASILY attract hungry Sharpteeth!) and somewhere nearby that she was more alert and was able to spot danger coming in time. This topic was modified 10 months, 2 weeks ago by ChomperHugger.